Chain forms when same basic unit is repeated over and over. 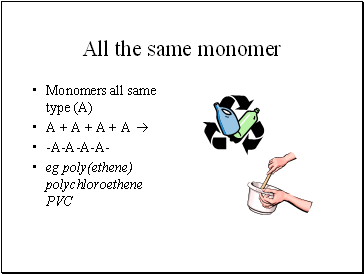 when more than one monomer is used. 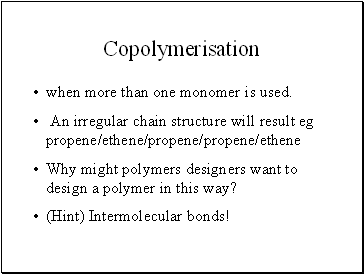 Why might polymers designers want to design a polymer in this way? 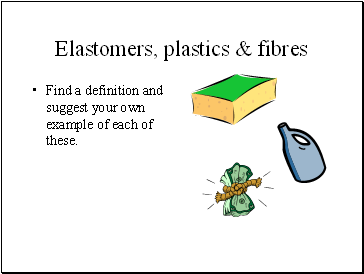 Find a definition and suggest your own example of each of these. 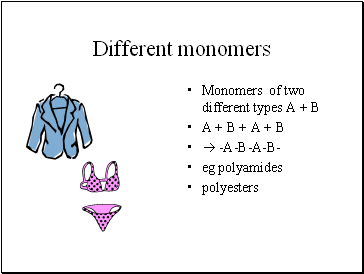 What decides the properties of a polymer? 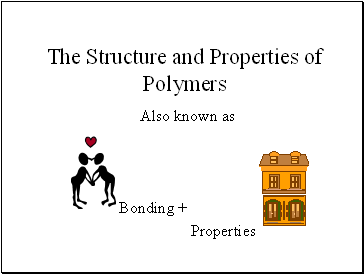 Stronger attractive forces between chains = stronger, less flexible polymer. Chains able to slide past each other = flexible polymer . 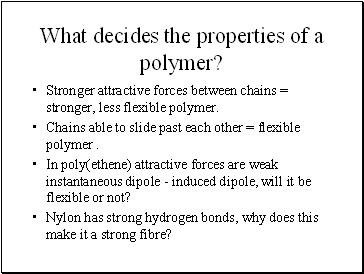 In poly(ethene) attractive forces are weak instantaneous dipole - induced dipole, will it be flexible or not? 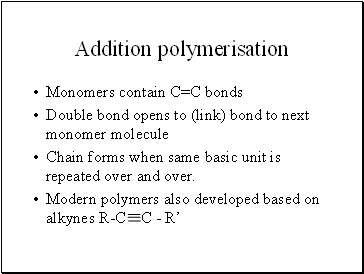 Nylon has strong hydrogen bonds, why does this make it a strong fibre? 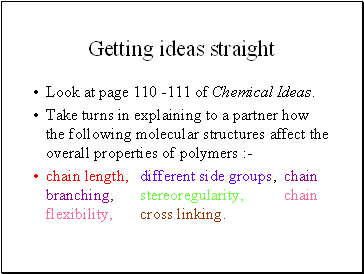 Look at page 110 -111 of Chemical Ideas. chain length, different side groups, chain branching, stereoregularity, chain flexibility, cross linking. No cross links between chains. 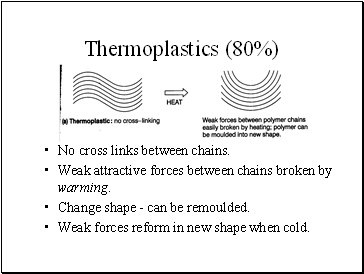 Weak attractive forces between chains broken by warming. Change shape - can be remoulded. Weak forces reform in new shape when cold. 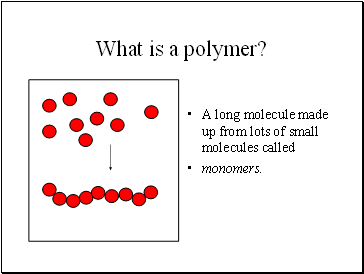 Longer chains make stronger polymers.